This blog is a sponsored blog created or supported by a company, organization or group of organizations. 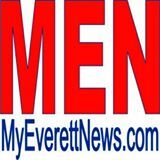 For questions about this blog, please contact everettfarmersmarket@gmail.com. This blog does not contain any content which might present a conflict of interest. We are employed by or consult with: Everett Farmers Market. We blog about people to whom we are related. The most interesting such people are: Farmers and farm products. We have a financial interest in the following that are relevant to our blogging: Our Vendors who sell at the Everett Farmers Market.